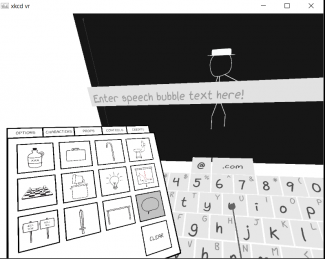 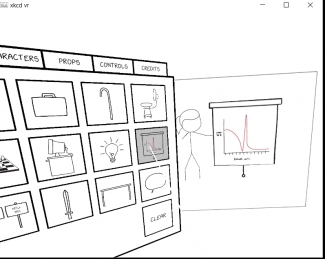 Created by Winnipeg-based indie studio The Campfire Union, xkcd VR lets you become a character from Randall Munroe’s popular webcomic and create your very own stick figure-based stab at the comic’s famously acerbic humor. 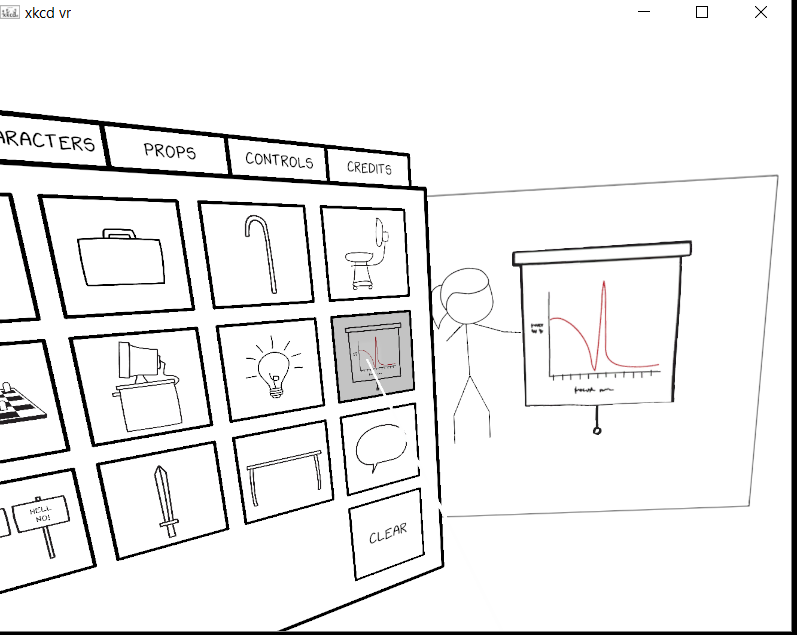 Built as an entry at the Winnipeg Winter Game Jam and xkcd Game Jam this past weekend, the comic-creation tool lets you set up a cell, use props and act out the part of one of 8 xkcd characters. 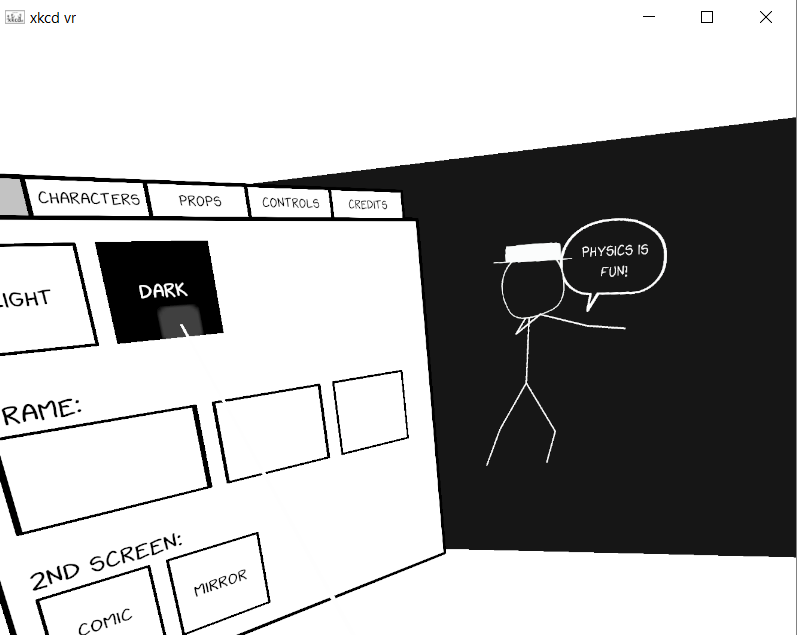 Essentially using the VR headset and controllers for motion capture (both Rift and Vive are supported), you can create a moving comic, or take screenshots of the action for your own xkcd-inspired work. 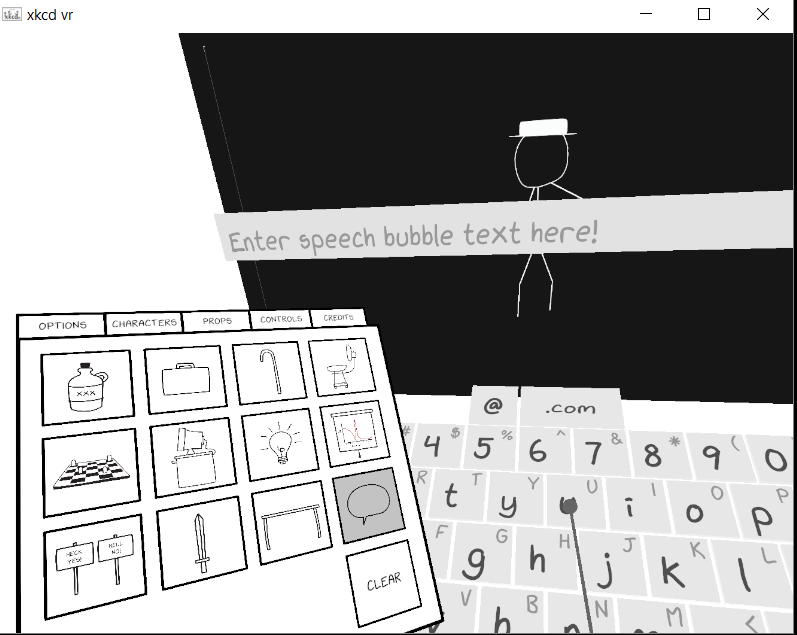 While the xkcd VR experience is a tribute to Munroe’s comic, and isn’t an official app by the artist himself, it completely nails the font, props, and characters of the comic. You can download the experience for Rift and Vive here.